Us Mendocino Coast Model Railroad & Historical Society members are largely a bunch of decrepit old codgers. We bemoan the state of our bodies frequently and loudly!!!! 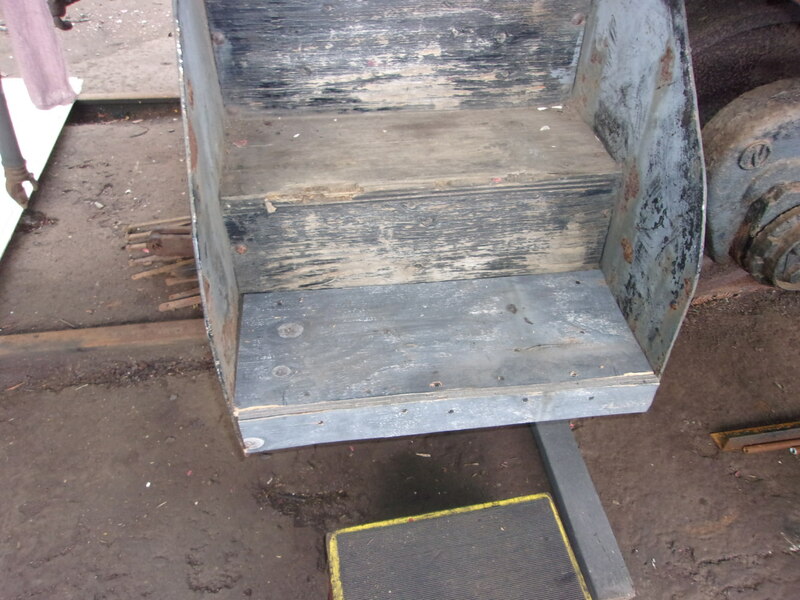 That said the work on day 1 of Caboose #11 renovation was spent making the area around #11 safe and replacing the wood of the steps at the south end – the steps at the north end are broken. Club member Lonnie Dickson did the dirty on the walkway. 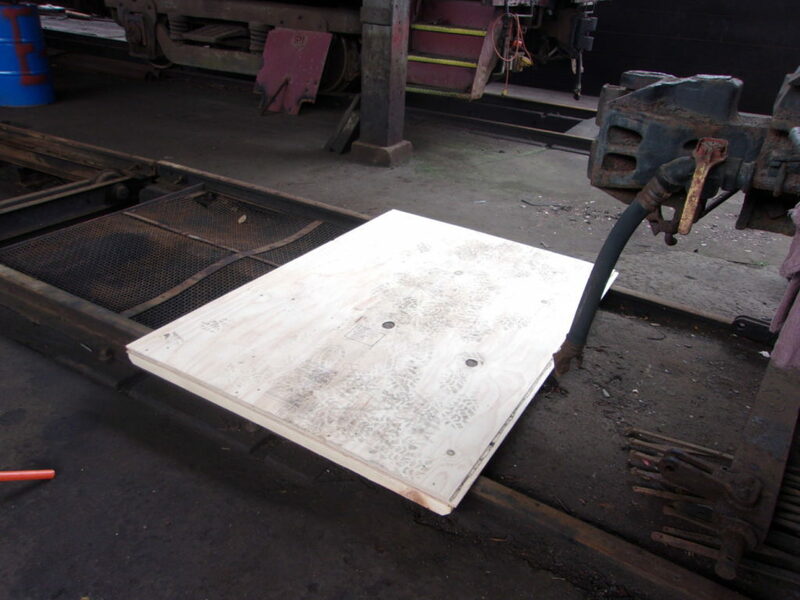 Chuck Whitlock and Jim Williams fabricated a new step from plywood that was attached to the vestibule. 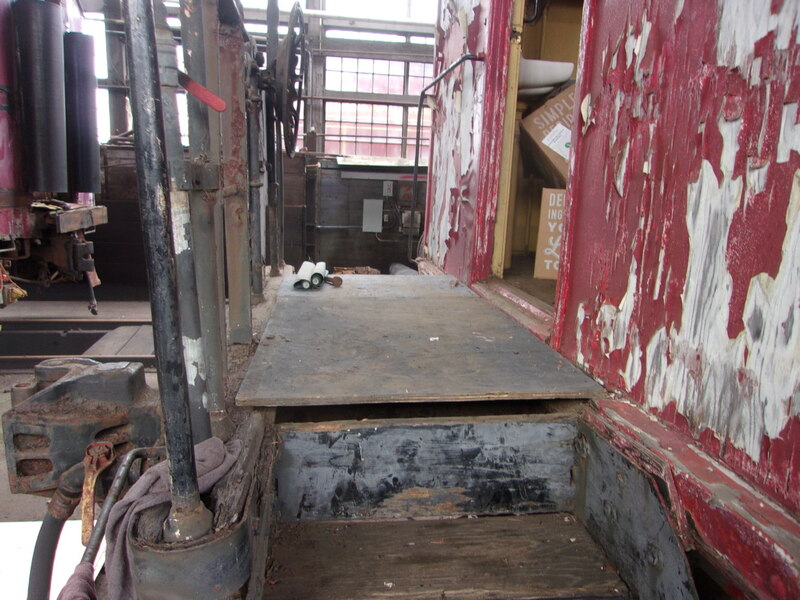 This photo not only shows the new floor fabricated from plywood that was in the vestibule but also the deplorable state of the outside skin of Caboose #11. There’s a long haul ahead of us to get her running – that’s for sure.